A mod to place relic Oblivion Gates in the 5 major hold capitols. Fixed a location conflict with a USSEP fix. Synchronized with USSEP fixes over the last 2 years. 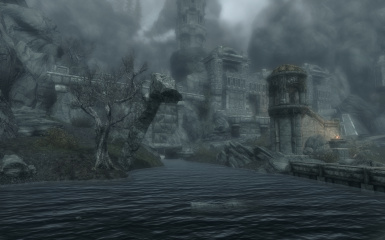 During the time of the Oblivion Crisis, it was said that Skyrim was hit especially hard by the Daedric invasion. Yet, a mere 200 years later there isn't a single sign of this event ever having happened anywhere. Such a monumental event in history would surely have left its mark, especially in the cities. 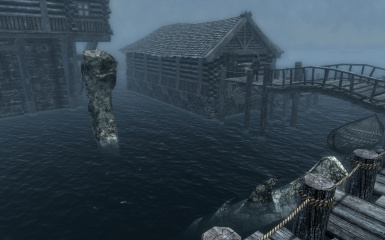 When Martin Septim made the ultimate sacrifice to seal the barriers to Oblivion forever, this did not remove the structural components that would be left behind by suddenly having the dimensional gateway closed down without warning. 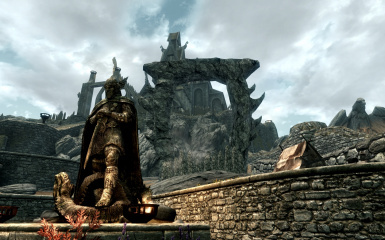 While logic may suggest that the citizens of Skyrim would have done all they could to be rid of these menaces, I don't believe this would have been a top priority. Some might even have left them standing as a reminder of what almost was. This mod's purpose is simple and to the point. Each of the 5 major hold capitols has an Oblivion Gate either inside or near it. They are merely for decoration and will not be made functional in any way. They're simply there to add back the missing atmosphere that Bethesda left out. An homage to Oblivion (the game) if you will. It also serves as a token bit of my Open Cities mod that at least I can still enjoy even if Patch 1.9 has denied me my major work. As a complement to this mod, get Pabulum's excellent "Oblivion Gates Remade" which places several gates using the same resources all over Skyrim. Drop the archive into your Skyrim Mods\Bash Installers folder, then install as usual. Use the "Download with Manager" button on the page at Skyrim Nexus. The installer should take care of things from there. 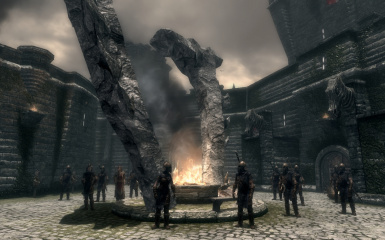 Drop the Oblivion Gates in Cities.esp, Oblivion Gates in Cities.bsa, and Oblivion Gates in Cities - Textures.bsa files into your Data folder. 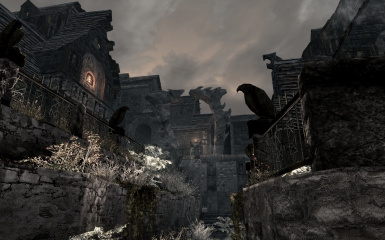 Simply delete the Oblivion Gates in Cities.esp, Oblivion Gates in Cities.bsa, and Oblivion Gates in Cities - Textures.bsa files from your Data folder. This mod includes no scripts and edits no vanilla objects so it should leave behind no footprint. LOOT should be used for optimal placement. The gates are in relatively out of the way spots in each city so there should be little chance for conflicts. No navmeshes have been edited, and there are no issues with NPCs getting stuck on them. Not compatible with Open Cities Skyrim. Using both mods will result in duplicated gates while in the closed cities during civil war battles.